November 13, 2010 was the day when Burmese pro-democracy leader Aung San Suu Kyi was released after more than seven years under house arrest. It was also an apt day to celebrate the achievements of influential business women with Business Today's seventh Most Powerful Women 2010 Awards Nite. 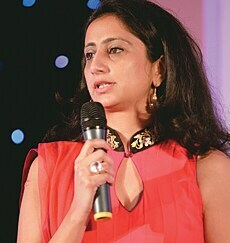 Heads turned as one powerful woman after another was ushered into the ballroom in Mumbai's ITC Grand Central. The powerful women were accompanied by parents, children, in-laws and husbands. 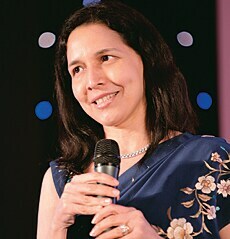 Legal eagle Zia Mody and UTV Co-founder Zarina Mehta came with their mothers; and Hindustan Unilever's Leena Nair had her parents, in-laws, husband and two sons cheering her when she went up to receive the award. Kicking off the evening, Aroon Purie, Editor-in-Chief of the India Today Group, of which Business Today is a part, applauded the women achievers and said that India has not been badly scarred by the global crisis like the developed world for two reasons: one is the robustness and resilience of the Indian banking system. 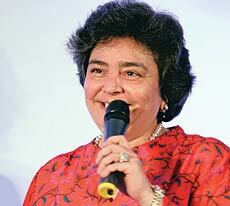 But a bigger reason could be that the Indian financial system is dominated by women, unlike in the developed world. Women hold significant positions not only in banks and financial institutions but also at regulators like the Reserve Bank of India, or RBI, and the Securities and Exchange Board of India, or SEBI. "Our financial system is in good hands. Many of us can sleep easy at night knowing that the RBI Governor has a deputy in Shyamala Gopinath advising him on crucial currency issues. And, if we have benefited from a scandal-free bull-run on the markets and a boom in initial public offerings, or IPOs, we should be thanking Usha Narayanan of SEBI, who is in charge of matters relating to FII inflows as well as IPOs," said Purie. This year, Ellen Kullman, Chair of the Board and CEO of $26-billion USbased company DuPont, graced the occasion and gave away awards to the 30 women achievers identified by BT as India's most powerful in business. Kullman enchanted the audience with her thoughts on leadership and how being a woman in leadership positions has never been a hindrance to her. According to Kullman, one of the best ways to enjoy one's career is to either build one's own company or work for a company whose core values are in sync with yours. She also talked about how her style is very direct at the workplace. "I am a great believer in transparency. I like my leaders to lead and not be led to make a difference, " she adds. It was then time for the high point of the evening: The awards ceremony. 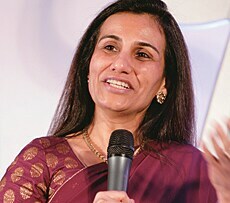 First on stage was Akhila Srinivasan, Managing Director of Shriram Life Insurance Company, who won the award for the second time; the first time was in 2007. Srinivasan said that she owed her win to Shriram Group founder and Chairman R. Thyagarajan, who created an even platform for women to join the various organisations within the Shriram Group and work their way through. 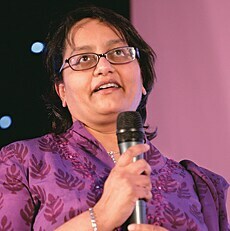 Then there were the first-time winners like Lynn de Souza, Chairman and Chief Executive Officer of Lintas Media Group. de Souza took the opportunity to make a statement about gender diversity in the world of advertising - the good part as well as the not-so-good bit. "The advertising and media profession does employ a lot of women - 35 per cent of the workforce in this sector are women. Unfortunately, there is also a great dropout rate because of the work pressure and long working hours, as a result of which only 11 per cent of women make it to the top." It was doubtless an evening for women, but at least one of the winners had a good word to put in for the men. 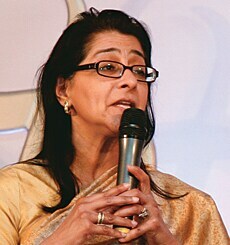 Naina Lal Kidwai, Country Head, HSBC India, said: "This is also a celebration of all those men who have supported us in our journey such as our bosses, our husbands and our fathers." The presenting sponsor of the BT Most Powerful Women in Indian Business was Dove, beverage partner Vladivar, hospitality partner ITC Grand Central, Mumbai, media partner Bloomberg UTV, and airline partner Kingfisher.